No longer just a space to cook and prepare meals, the kitchen is often cited as the heart of the home. 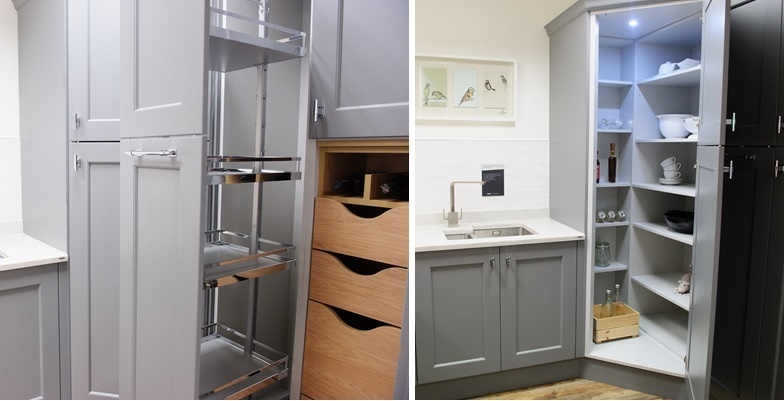 With kitchens now requiring more functionality, Lawrence Morgan, Kitchen Designer at Elliotts Living Spaces in Ringwood, looks at 3 clever ways to make the most of your kitchen space. Corner space in kitchens give us the biggest option for storage, but this sometimes gets over looked or ends up poorly designed. 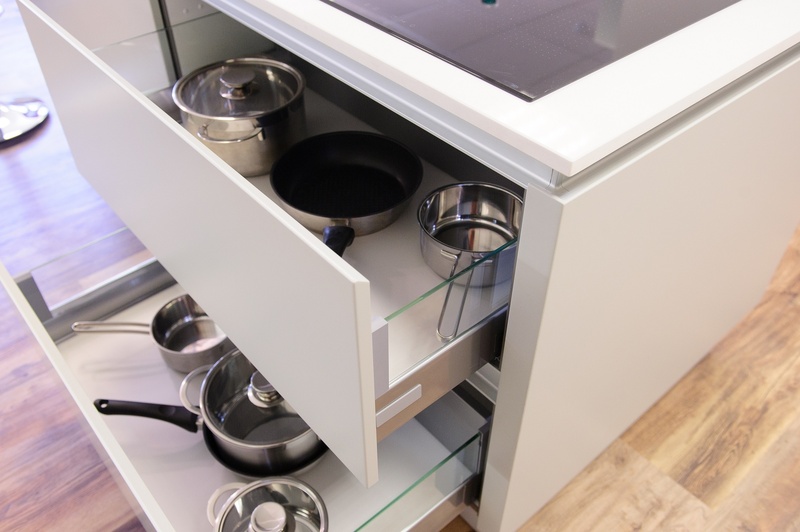 A floor to ceiling corner unit, with pull-out racks, can work well in kitchens that are restricted on floor space. 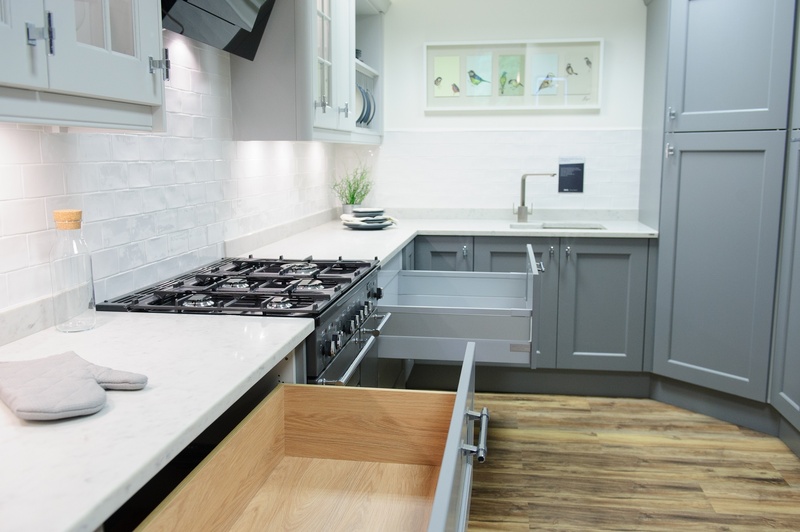 Opting for deep drawers will mean you can get all in your pots and plans in one place. 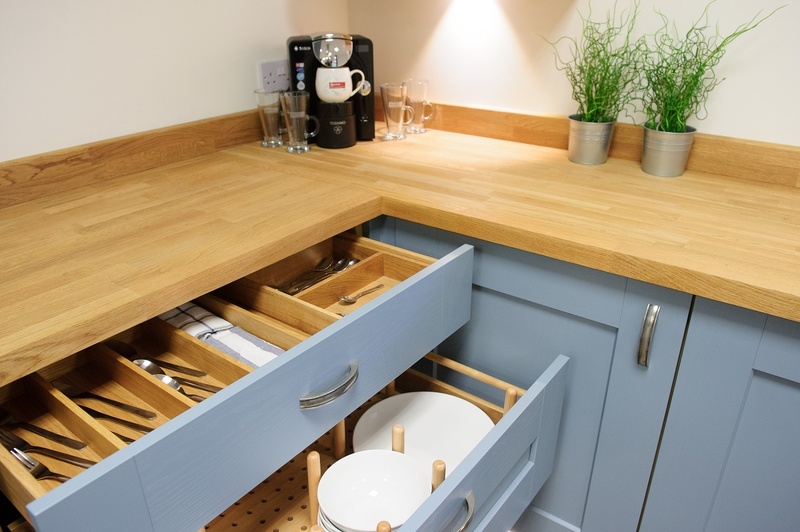 You can also have smaller ‘secret drawers’ that sit within these, just below the work-surface. Make these drawers work harder for you by recessing them into the wall cavity, if possible. 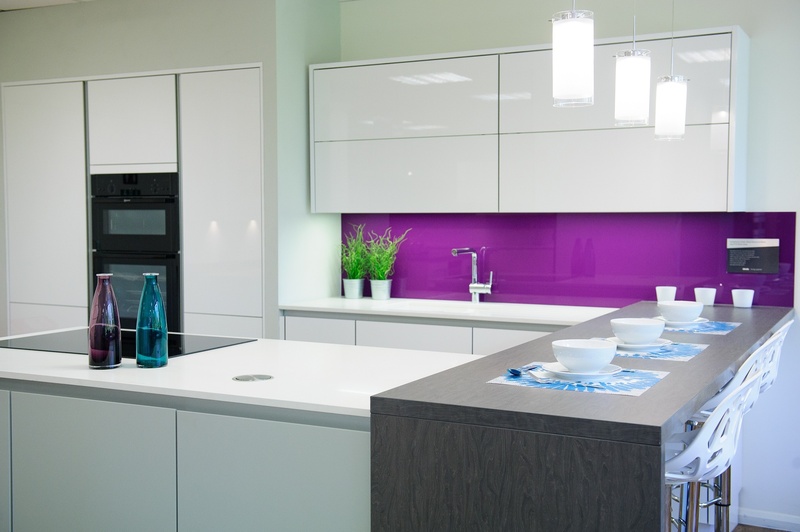 This will give you a kitchen that even Mary Poppins would be jealous of! If your kitchen doesn’t have space for a dining room table and chairs, you may want to consider investing in an island. More than just extra kitchen storage, an island can also double as a social eating area. Another alternative would be a peninsula, or a breakfast bar as they are more commonly known. This Symphony Linear kitchen, on display at our Ringwood showroom, has created a great sociable dining space without compromising on space. Looking to create your perfect living space in 2019? Get inspired at your local Elliotts Living Spaces showroom in Fareham, Lymington, Ringwood or Romsey and enjoy a free design service.